Fiat’s MPV gets a mid-life overhaul, with a new look and extra kit. Fiat has given its 500L MPV a facelift, adding some new technology, visual tweaks and extra options. 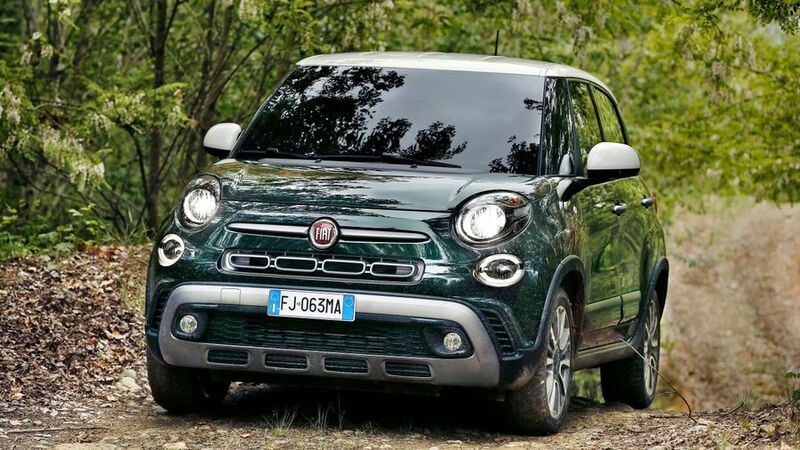 You can spot the 500L by its new grille and bumpers, which bring its look more in line with the rest of the 500 range. The new headlights have LED daytime running lights and there are more customisation choices, with new paint colours for the body and roof, taking the available number of combinations to 37. The range of 500Ls has been revised into three categories: the five-seat Urban; the seven-seat Wagon; and the Cross, which is similar to the old Trekking model. It has an off-road bent, with a raised ride height, skid plates and beefier bumpers, as well as hill descent control, which helps to control your speed and traction down slippery hills when off-roading. Interior updates include a revised dashboard, featuring a new digital central dial display and a new steering wheel. Higher end models get a new infotainment system with seven-inch screen, as well as Apple Car Play and Android Auto. New safety kit includes automatic emergency braking, which will apply the brakes if you don’t react to a slowing or stationary car in front of you, at speeds up to 18mph. The 500L comes with a range of petrol and diesel engines. We haven’t seen UK-specific details and prices for the new 500L yet, but expect the revised cars to arrive in dealers in the summer. Interested in buying a Fiat 500L?